On October 21st, The Sound Dunes Swing Ensemble performed at a private event for the Thirwood Place Senior Living Community in South Yarmouth. Community residents expressed their delight with the performance. The photo which follows is from the October 21st event. IMPORTANT!! 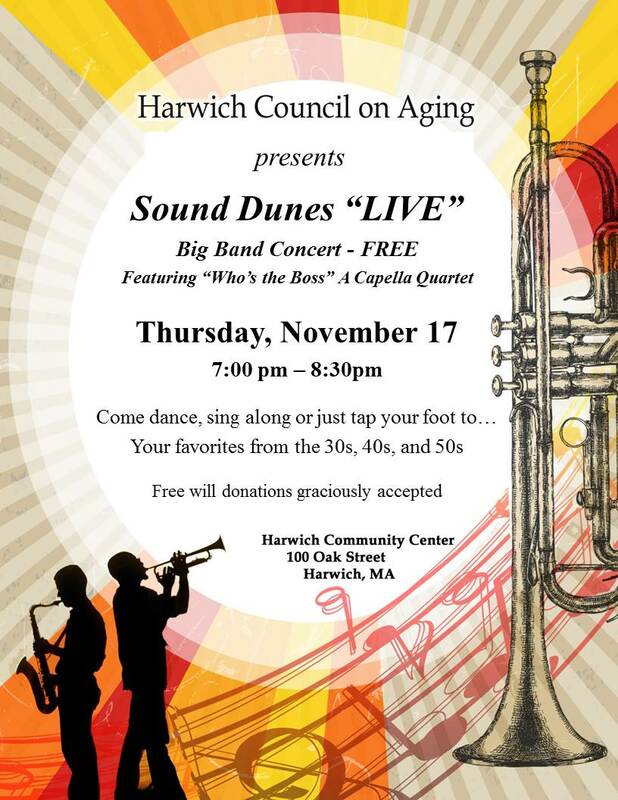 – TONIGHT at 7PM you can attend a FREE concert of the Sound Dunes Swing Ensemble along with Who’s the Boss a capella quartet at the Harwich Community Center. Don’t miss this free entertainment opportunity.